Keep up to date and check out the latest Mainsway news and updates here. 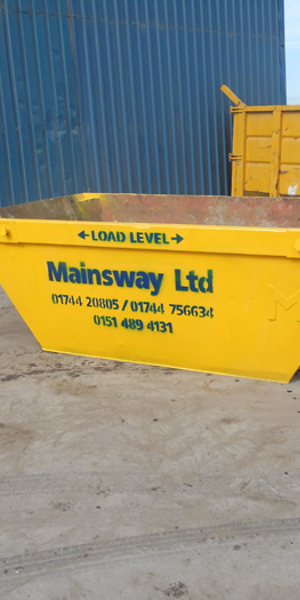 We can supply a wide range of various size skips and containers for various applications, click here to find out exactly what we offer. 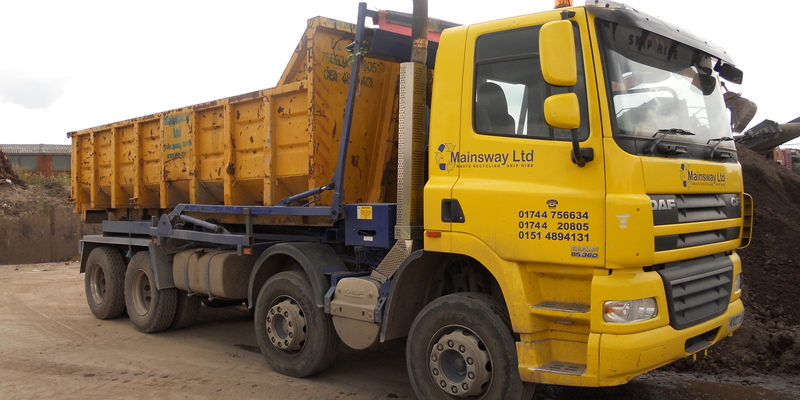 If you have any questions or want to enquire about hiring a skip, don't hesitate to get in contact with us. Feel free to read our FAQ page if you have any questions, if you can't find what you're looking for don't hesitate to call us. 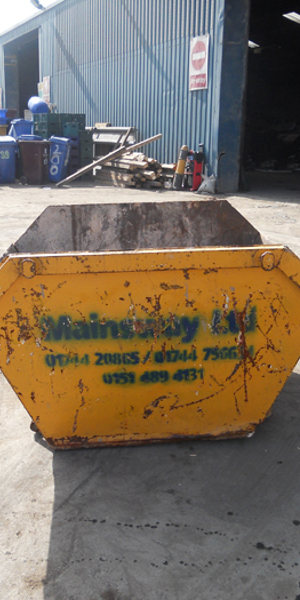 Read the terms and conditions of our skip hiring service here. 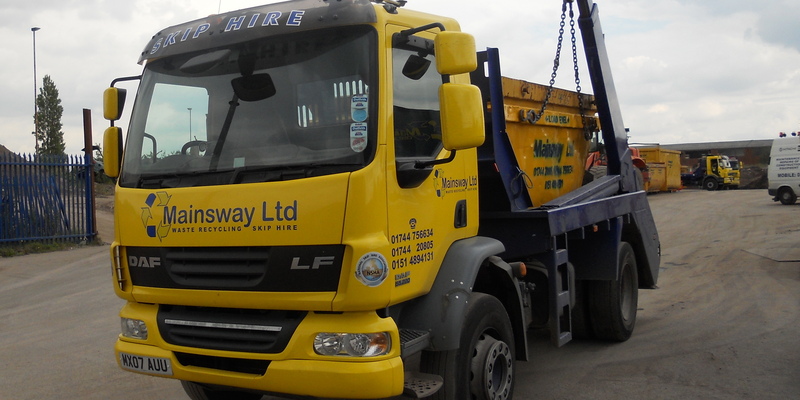 Mainsway Limited provide a professional and reliable service in skip hire, tipper hire, recycled aggregates and waste management services in Liverpool and the surrounding areas. 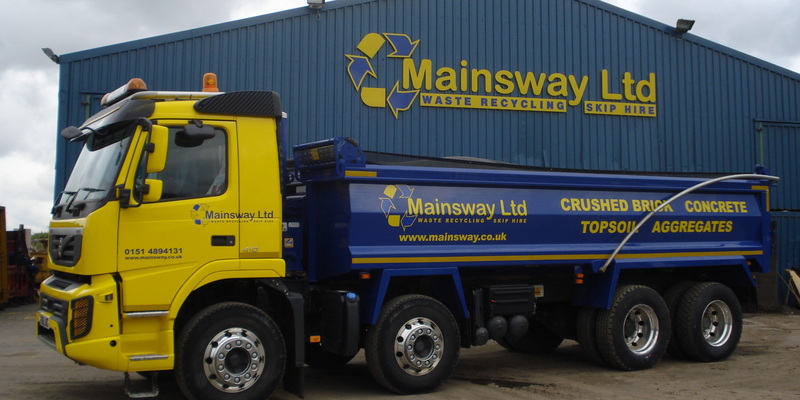 Established in 1984, Mainsway are a family run business with three generations working within the business at this present time. 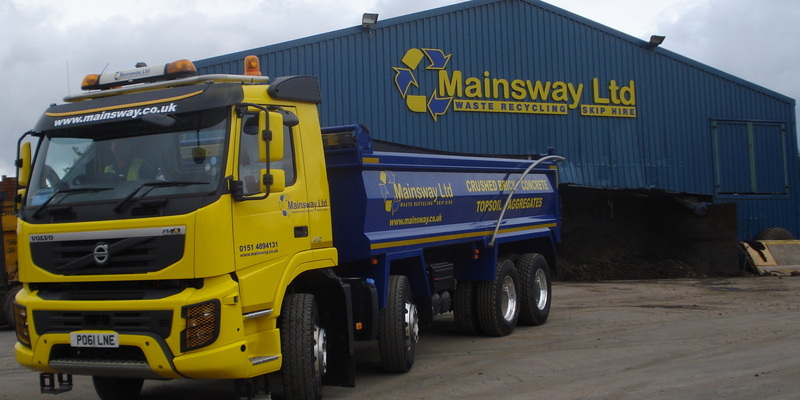 Mainsway offer competitively priced services which include skip hire, tipper hire, grab hire and a fully licensed waste transfer station where waste is sorted, segregated and recycled. We are currently recycling at least 85% of the waste, thereby reducing the amount of waste sent to landfill sites. 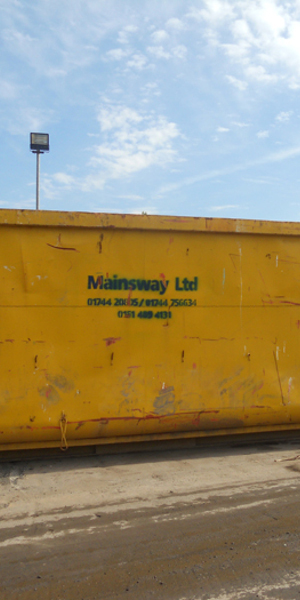 For larger companies we can perform on-site audits and introduce waste segregation. Not only does waste segregation help the environment by raising recycling levels, but can also save money by reducing landfill taxes. We are able to provide monthly waste recycling reports to all our customers to show all waste that has been recycled in our waste transfer recycling facility if this is required. Our services include the facilities for trade and commercial waste to be brought into our waste transfer station for recycling purposes. Our recycling facilities include a Chieftan Powerscreen used for breaking down materials and soils, a crushing plant for breaking down materials into various stone products and a picking station with trommel which enables us to retrieve most products from the waste received at our waste transfer station. From the wastes we recycle we can produce products for re-use with various trades i.e. recycled concrete, crushed brick, topsoil and soils for restoration purposes. These products can be delivered to sites in bulk loads or smaller loads as required.